GoBankingRates.com releases a Car-Buyer Checklist addressing everything car shoppers need to know this Labor Day about manufacturer deals, auto loan rates and financing options. With all the hype surrounding car-buying incentives over Labor Day weekend, shoppers can easily become overwhelmed and settle on a deal that isn't the best of what's available. Labor Day is a great time to purchase a new car at a bargain with dealerships across the country clearing out current models and making room for 2014 inventory. To equip shoppers with the essential resources and tools needed to purchase a new car at an affordable price, GoBankingRates.com conducted several studies and reports designed to cut costs and make the car purchasing experience easy. "With all the hype surrounding car-buying incentives over Labor Day weekend, shoppers can easily become overwhelmed and settle on a deal that isn't the best of what's available. Our guide is meant to cut through the confusion and provide simple, actionable steps for potential car buyers," said Casey Bond, managing editor of GoBankingRates.com. For customers in the market for a new car who have not decided on a particular make or model, GoBankingRates.com released a list of the best deals this Labor Day, including offers up to $13,000 off MSRP. Categorized by utility -- luxury, hybrid and electric, family- friendly, sports, and trucks -- customers can find the best manufacturer deals on the vehicles that fit their needs. To compare deals on different makes and models, please visit http://bit.ly/15d06dK. To assist those seeking an auto loan to finance their car purchases this Labor Day, GoBankingRates.com analyzed loan data from each state and the top 100 U.S. cities to provide consumers with information about average rates available in their area. 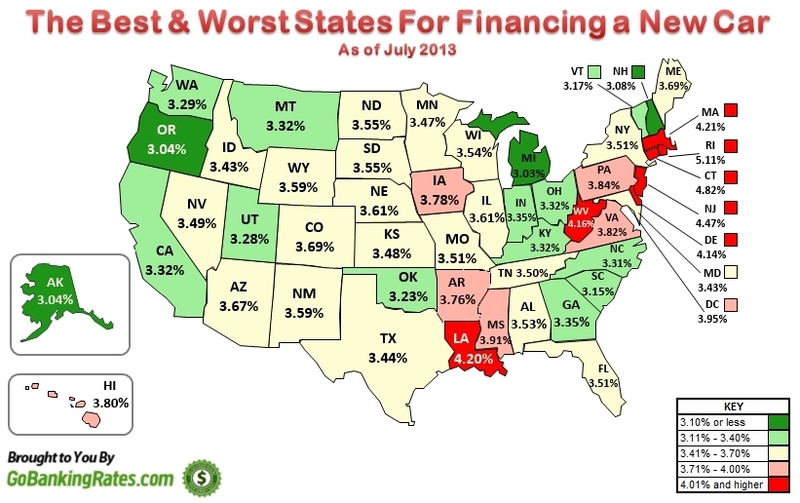 To see each state’s and cities’ average auto loan APR, please visit http://bit.ly/153no2L. 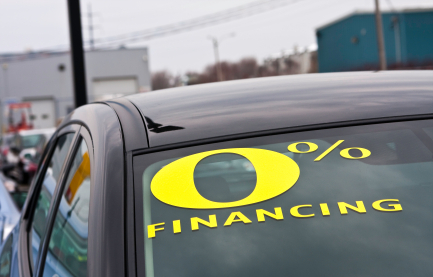 Once car shoppers have selected their desired vehicles, GoBankingRates.com offers a list of considerations that consumers should be aware of when signing loan agreements with a dealership or financial institution. With advice regarding zero-down payment options, negotiation leverage, cash-back offers and where to obtain financing, consumers will be prepared to make a decision on the last aspect of the purchasing process. For advice on how to negotiate and obtain the best auto loan rate, please visit http://bit.ly/12IWjB6. GoBankingRates.com is a personal finance website that connects consumers with the best interest rates nationwide. It collects rates on savings, CDs and checking accounts, as well as auto and mortgage loans from more than 4,000 financial institutions. GoBankingRates.com’s editors have been featured on several top media outlets such as US News, Yahoo! Finance, Forbes, The Street, Los Angeles Times, Huffington Post, Good Morning America, CBS, ABC and more.